Cape Town – The SA conference is a good old muddle at present … but many South Africans, nevertheless, wouldn’t turn up their noses at the idea of playoffs places in Super Rugby 2019 being settled at the halfway mark of ordinary season rather than the completed programme. That’s because if you closed the books right now, as many as four of the five group sides – ironically only excluding last year’s beaten finalists the Lions – would make the eight-team cut for the finals series. It might seem strange, given that all SA conference sides barring leading lights the Bulls (five wins) sport decidedly chequered records of four victories and four defeats each at “halfway house”, but that is the way the playoffs cookie would crumble. The whole competition is notably volatile this year, save for the ominous overall mastery already of the legendary Crusaders, and without suggesting exactly how many SA conference outfits will crack the playoffs – still too hard to tell – here is my forecast of the order of finish in the group itself. Even while resting Duane Vermeulen and with Schalk Brits still suspended, there was lots to like about their comfortable home triumph over the Reds at the weekend; a renewed vibrancy was discernible. The return from injury of players like RG Snyman, Warrick Gelant and Marco van Staden made a big difference, and the Bulls should make the playoffs, albeit with a reasonably low seeding: that late, four-leg overseas trek shapes as a serious obstacle for a team who traditionally don’t travel long-haul well. Remaining fixtures, with predictions: Stormers away: defeat with losing BP; Waratahs home: win, no BP; Crusaders home: defeat, losing BP; Rebels away: defeat, losing BP; Brumbies away: win, no BP; Blues away: defeat, losing BP; Highlanders away: defeat, no BP; Lions home: win, no BP. 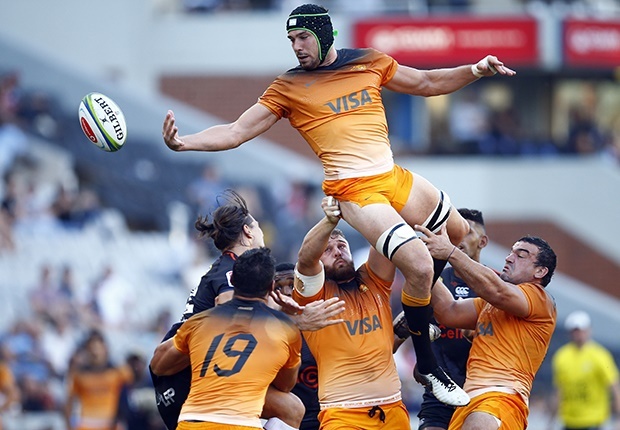 Sneaking into the playoffs could be a very tenuous, ding-dong affair from here for one of the tournament’s most enigmatic teams, so imperious in Johannesburg and then so abject in Saturday’s Durban fiasco against the Jaguares just eight days onward. It seems to tell you something’s missing either mentally or even in squad harmony terms, and if they crash again to the modest Reds over Easter weekend, many will understandably be writing them off already for the finals series – though I believe they will eke out a stabilising victory in that one. Their looming Antipodean tour’s a stinker, but at least comprises only three rather than four matches. Remaining fixtures, with predictions: Reds home: win, no BP; Waratahs away: defeat, losing BP; Crusaders away: defeat, no BP; Chiefs away: defeat, losing BP; Lions home: win, no BP; Hurricanes home: win, no BP; Jaguares away: defeat, no BP; Stormers away: defeat, losing BP. Wow, what a productive (latest) mini-tour of South Africa by the Argentineans: how many experts would really have anticipated their banking successive wins at Loftus and Kings Park? What those results have done is seriously ignite their chances of a maiden conference triumph … and when I did the predictive “maths” below, you will see that, yes, they pull it off by a whisker. There are still some potholes ahead, of course, including what is effectively their third overseas tour (this time the unforgiving Australasian part, too) toward the end of the roster when time-zone fatigue will be a real threat to them. But they might also be on the cusp of something special towards the end of it, and it will power them to the odd showing driven by that demonic passion of theirs. Remaining fixtures, with predictions: Brumbies home: win, no BP; Stormers home: win, no BP; Highlanders away: defeat, no BP; Hurricanes away: defeat, no BP; Waratahs away: defeat, losing BP; Reds away: win, no BP; Sharks home: win, no BP; Sunwolves home: win, with BP. Just how pivotal might that late, reviving tour triumph over the Rebels prove to be? They are right back at the conference races … especially being the side with easily the best run-in (or at least read: generous sequence of home fixtures) to the knockouts. That fact alone must make them genuine contenders still for top-placed finishers in the group, and their brains trust will be praying the worst of the injury-related (and other factors) absenteeism is over very shortly. Remaining fixtures, with predictions: Brumbies home: win, no BP; Bulls home: win, no BP; Jaguares away: defeat, no BP; Crusaders home: defeat, no BP; Highlanders home: win, no BP; Lions away: defeat, losing BP; Sunwolves home: win, with BP; Sharks home: win, no BP. More danger signs for their season flashed in Canberra at the weekend, where they were ultimately well beaten by the Brumbies – so a second game on the trot without a single log point to show, and further signs that their engine room is falling short for real grunt and go-forward qualities. What’s more, the upcoming games against the Chiefs and Crusaders in New Zealand offer very little hope, as things stand, of any fresh win curve being established in the immediate future. The Lions may well return to SA climes with just too much to do, and instead recede into non-qualification for the finals series, bringing to an abrupt end their three years as commendable tournament runners-up. Mind you, their enduring “gees” should still ensure some strong, group pecking-order-influencing performances against derby foes once back on home soil. Remaining fixtures, with predictions: Chiefs away: defeat, no BP; Crusaders away: defeat, no BP; Waratahs home: win, no BP; Highlanders home: win, no BP; Sharks away: defeat, losing BP; Stormers home: win, no BP; Hurricanes home: defeat, losing BP; Bulls away: defeat, losing BP. Thus total log points: 33 … and FIFTH in completed conference.